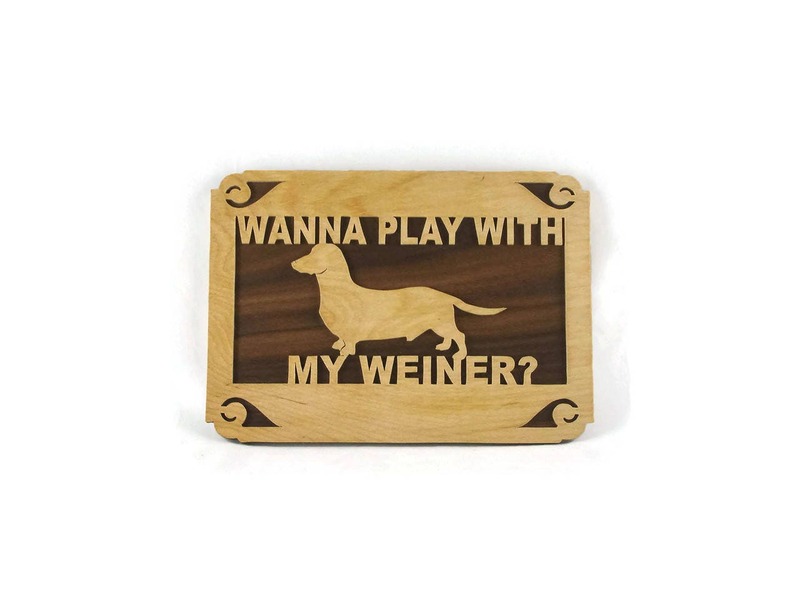 Dachshund Weiner Dog wall hanging plaque was handmade from 1/8 inch birch and 1/4 inch Walnut plywood. 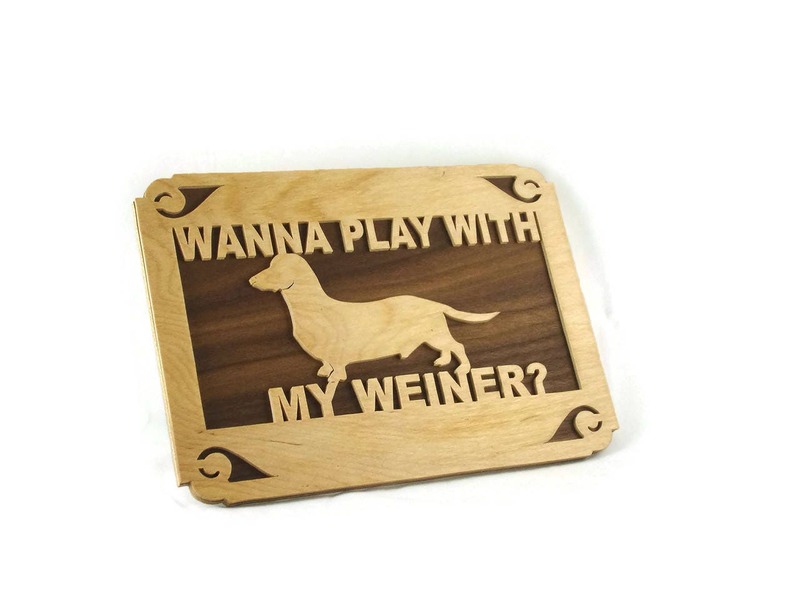 This Plaque features a Dachshund dog silhouette in the center of the plaque and the text at top and bottom says " Wanna Play With My Weiner?" 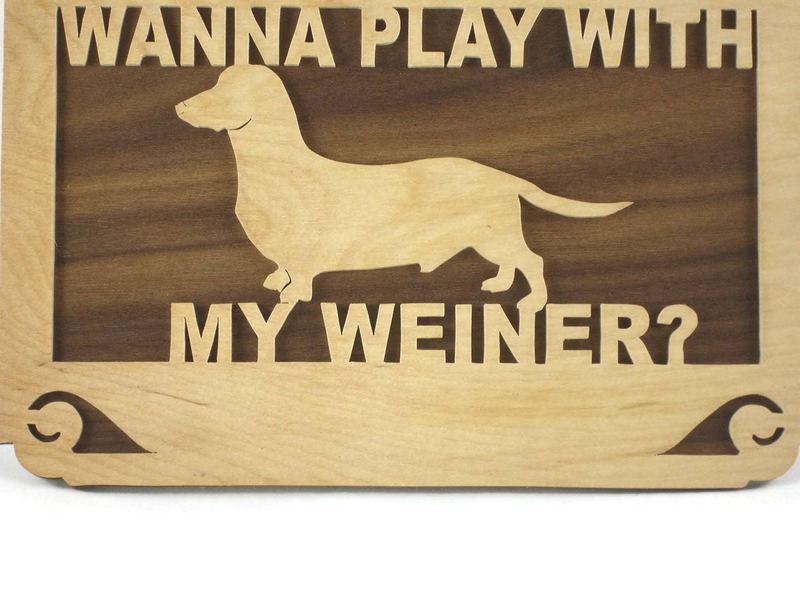 This Plaque was cut out by hand using a scroll saw. Then its was sanded smooth and the birch cutout was glued to the backer which is made of walnut wood. A Natural color Danish oil finish was applied to this to bring out the natural colors of the wood as well as to protect the wood for many years of enjoyment. A sawtooth hanger is attached to the back for hanging on the wall.